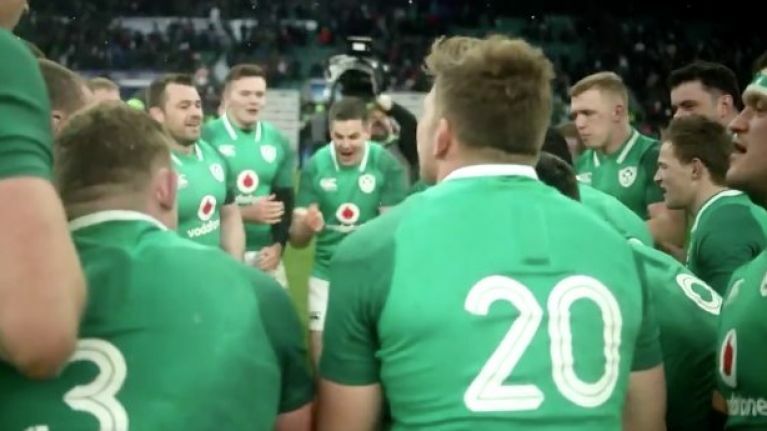 An emotional, exhausting and excellent Six Nations adventure deserves a fitting send-off, so props to the team at TV3 for providing it as part of Ireland's Grand Slam, which aired on Sunday. Soundtracked with a scratchy acoustic guitar and delicate piano notes, their tribute video brings you an up close and personal look at the Irish team as they close out their incredible journey at Twickenham on St. Patrick's Day. It was, in many respects, the perfect campaign; one that produced unforgettable individual moments, from Johnny Sexton's last-gasp drop goal against France to Eddie Jones eating his words to Peter O'Mahony providing a touch of magic after all was said and done. Joe Schmidt's team are home now, and will look ahead to Japan and next year's World Cup and the chance to go down as one of the great teams in history. For now, we continue to celebrate a Grand Slam triumph, and the below video goes some way to capturing the pride and passion that helped Ireland achieve their dream. Also, if a picture really is worth a thousand words, what price would you put on this?